If you would like to pay your camp tuition by check, please mail or bring to14535 Blanco Rd. San Antonio, Tx 78216. 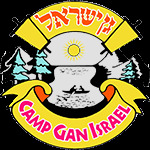 Please make checks payable to Camp Gan Israel. If you would prefer to pay by credit card, please fill out the form below. If you would like to set up a payment plan, please fill in the amount you would like to charge each month and which day of the month you would like the charge to be processed to your card.